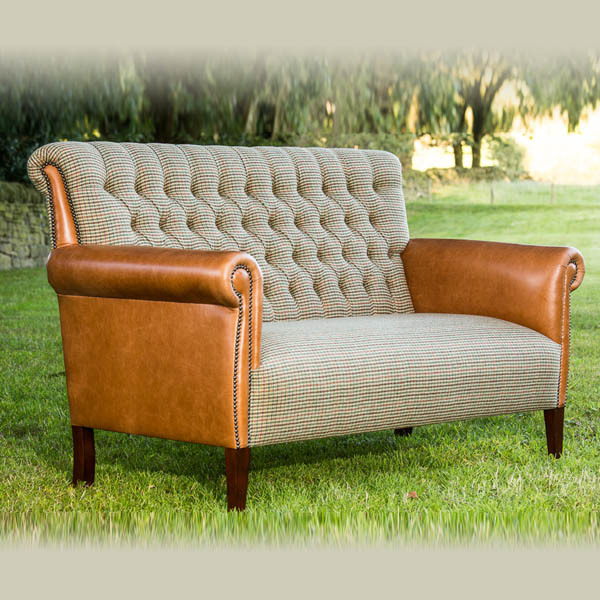 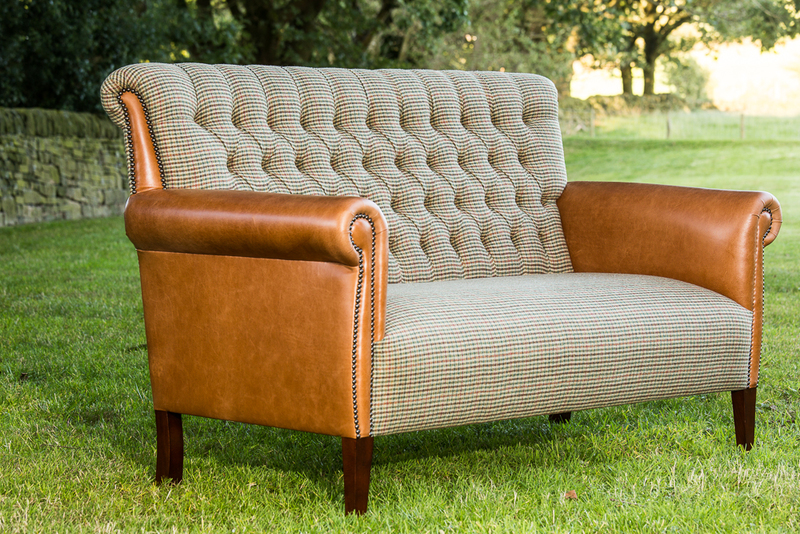 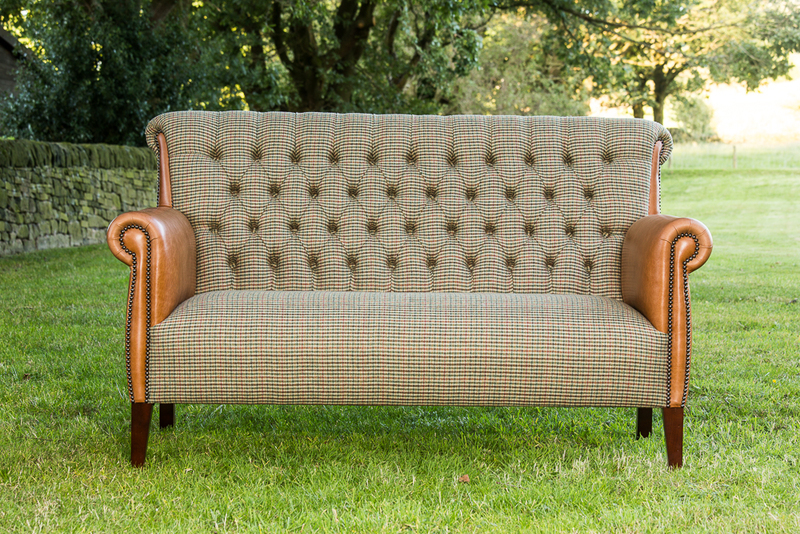 Main image upholstered in Tweed Twist wool check with Tan leather arms. 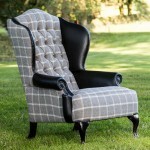 Available in any combination of our superb collection of wools and leathers. 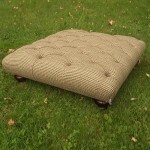 Please contact us directly to place orders.